Our flagship store and head office lies in our beloved home town of Bridgwater. This is the site and town in which our story began way back in 2005 when husband and wife team Keith and Cathy decided to take on self storage in Somerset. We're a locally owned company with our directors and the vast majority of our staff living in and around Bridgwater town. We have a state of the art building here in Bridgwater, with great links to the M5 and all local areas. There are many Somerset storage companies, but we feel we have the local knowledge and the community presence that a company needs in order to succeed. Bridgwater is home to many things aside from UK Storage Company of course, our favourite being the annual Guy Fawkes Carnival. The first modernised version of the Guy Fawkes Carnival took place over 100 years ago, and can attract up to 150,000 people! That's the same as you'd expect at a Glastonbury festival. Only you're fairly unlikely to catch the likes of Lionel Richie or Fleetwood Mac championing our carnival! We always make sure we're there no matter the weather. You wouldn't believe the amount of enquiries we receive with the misspelling of Bridgwater! It would be enough to make a local resident furious. A quick search on Google has come up with what sounds like a legitimate origin of the name... you can read more about it here. You can look that up yourself at another time if there's no paint drying that you could watch instead. As an extra added bonus to those who store with us in Bridgwater, we can offer the use of a van with no hire charge (just a security deposit). We have a transit van that you can borrow from us for only the cost of the diesel. Any money saved during a house move is always welcomed, so not having to pay for van hire can only be a good thing. We have long opening hours here, including Saturdays at no additional charge, allowing you that time to complete your move in to us. There's no security deposit to pay on any storage rooms, and you can store for as little as 10 days. While our building here is set over three floors, we provide the use of a lift and lots of flat-bed trollies to help make your move easier and more manageable. Security on site in Bridgwater is second to none. It begins with the perimeter fence that is an instant deterrent, then beyond that is the building itself. The outside of our building is covered by 24 hour CCTV that is recorded and has a motion sensor. If anything moves on our site, we know about it. Our building is fully alarmed with both motion sensor and fire alarms, as well as smoke detectors. These phone straight to our staff and to the local constabulary, so should anything be tripped, again we'll know about it and will act immediately. We also sell boxes, bubble wrap and all the usual packing materials you'd associate with a house move. Great for other uses too, such as eBay sales, we have a variety of cardboard box sizes in stock. If you're after some advice with regards to removals firms, we'd be happy to recommend some for you to choose from - trusted and respected local firms that we've built a relationship with over a decade of being in business. Opening a storage facility in the Somerset county town of Taunton was the second Somerset self storage site that we opened and was, for many years, manned by local hunk Jon Whitfield (don't worry, he's still with us at our Head office in Bridgwater and writing web site copy). Since opening in 2009 the site has seen many improvements to the storage units with a lot of money invested over that time. The site has become highly streamlined and has had many upgrades to both the security and the move in procedure - let's face it no one wants to sit around doing paperwork when they've got a load of items to move. Nicely located just a few miles from the town centre in Norton Fitzwarren, our Taunton site is easy to get to and impossible to miss. The site itself is fully accessible to vehicles, making it easy to move your goods in and out as and when you need to. We can offer you 24 hour entry so should you work early mornings and need to get in to your room to collect your tools or supplies, then you should be storing with us in Taunton. Imagine the scene - a lazy Sunday morning turns in to wanting to get out on the lake and catch some fish with the kids, but where are the fishing rods? In the storage room!! Not a problem, drive down to the site, enter your unique gate code and find what you need. Now that's not something that just any storage company offers. It's just one of the many benefits that you'll receive when storing with us. We keep the whole site very well lit no matter what the time of year, so if you are one of the lucky few that comes on to site during the small hours, you can always find your way to your unit - the units themselves are not lit so customers either use their headlights or you can bring a torch or light with you. Our rooms aren't just used during house moves you know, we've had customers storing for many different reasons, from the slightly bizarre to the downright ludicrous. We don't ask or need to know what you're storing, as long as it's legal and not dangerous, and there aren't really many situations in which self storage can't help you out. We tend to find that the more odd the reason for storing, the more likely the customer is to want to tell us about it. As an added security extra, we ensure that the locks that we use are unique and are unable to be picked. We import them from the United States of America and they are probably the safest lock money can buy. You also keep hold of all the keys, ensuring that no one but yourself has access to your room and your goods. Just make sure you don't lose them! There are some great options available if you're looking for storage in Somerset, but we think that our facility is second to none. With all the rooms being on the ground floor, pretty much all inconveniences are removed, aside from having to move your goods in and out of course. Maybe consider hiring a removals firm to do the move for you and to take a lot of the stress out of moving. We can recommend a couple of companies you can look at if you don't already have someone in mind to help you. There are no stairs to contend with or no winding maze of corridors, you can simply choose one of our prime storage rooms and park right outside your room. You also have the option to pay slightly less and have what is still a very short walk to your room. Security is our prerogative at all of our sites as you will be able to tell if you've ever been on to one. From the unique locks that we use to secure the rooms, to the key coded entry system, it starts to feel like Fort Knox. Chard is the most rural town in Somerset that we have a facility in, you'll see us from almost any direction that you drive in to the town. 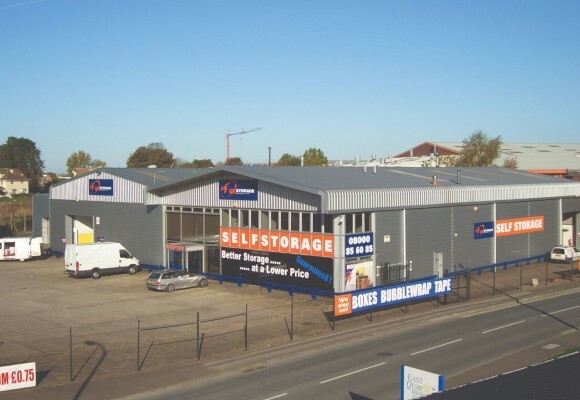 Prominently positioned on Furnham Road, we're a great choice if you need local, secure and modern storage. Somerset has so many small villages and towns, but from wherever you're based you're sure to not be very far from a quality UK Storage Company facility. We've streamlined the move in process to save our customers time and effort. We have the ability to complete a move in with a customer without them having to even leave their house, however we'd love you to come down and take a look around and see for yourself how well suited our sites are for your storage needs. As well as the standard hours of opertation in Chard (Monday to Friday 8am to 6pm, 9am to 6pm on a Saturday and 10am - 4pm on a Sunday) we are also pleased to be able to offer extended hours to all our customers. This means we are the only company in the area to be able to offer access 7 days a week. We're always looking to open more sites wherever we can, so keep your eyes open for the next UK Storage Company site in Somerset. Our facility at the Red Lodge Business Park in Weston Super Mare is really a showcase of how far we’ve come as a business since beginning in 2005. 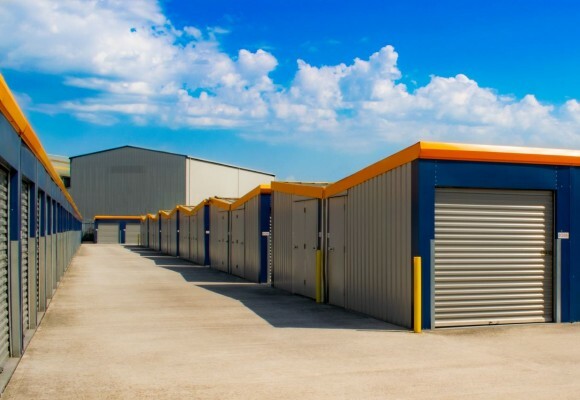 With such an excellent location right on the M5, and a beautiful modern building, we’ve gone a long way towards ensuring that we offer the best storage unit to our customers at excellent value for money. We are able to offer 24-hour access to all of our customers, as well as secure, clean and expertly managed storage. Weston Super Mare is our first location in a seaside town, and what a seaside town Weston really is! A great holiday destination for people from all over UK and beyond, we’re very fortunate to have moved in to a location as fantastic as this one. Ideally positioned on Junction 21 of the M5, we’re in a position to serve all the local towns and villages such as Congresbury, Yatton, Wick St Lawrence and St George, you really can’t miss us as you come in to Weston on Junction 21. We're just around the corner from the big Lidl distribution building. Security is paramount at all our sites, but here we really have gone above and beyond expectations – The entire site is surrounded by our 2.4-metre-high perimeter fence, and the CCTV system ensures that if anything moves – it is recorded. The cameras benefit from a motion sensor and the footage is beamed in a live stream back to our head office which located close by in Somerset. As for safety in the building, there are smoke alarms and fire alarms throughout, as well as high tech security alarms. Access to the site is via a customer only gate which is entered using a unique pin code only, and the same again for the door in to the actual building. It may look impenetrable (the way we like it) but as a customer the access is smooth, seamless and very easy. Whether you’re storing a few items over the summer in one of our small rooms, or moving and storing a 12 bed mansion house, UK Storage Company are here to help you. We are proud of our modern, totally refurbished, warehouse with individual storage rooms for the general public and businesses. Based in west Yeovil on Lyde Road, just next door to Coral and around the corner from Bookers. The facility is a nice, brightly lit area specifically designed for storing everything from soft furnishings to business stock. House movers, you can use us if there’s a gap in the chain and you need temporary storage when you’re in between houses. You can store with us safe in the knowledge your goods will come out in the same condition they go in. If you need to declutter in order to sell your house then we have small rooms prefect for this. Need to store your whole house contents? We can do that too. Businesses looking for a flexible warehouse solution can rent various sizes with only a 14 day commitment. There’s just one bill to deal with, no utility or rates bills and no long term commitments. You also get access to your goods whenever you need them with extended access hours available. The world famous Glastonbury festival is held in the nearby town of Pilton, not actually in the town of Glastonbury itself! Skittles is a pub game that has its origins in Somerset, it's still unheard of in some parts of the world, unlike its American derivative 10 pin bowling. There is only one remaining cheese producer in the town that lends its name to the much loved (and our favourite) cheese, the glorious Cheddar! The battle of Sedgemoor in 1685 is often, and some might argue wrongly, referred to as the last battle fought on English soil. Your interpretation depends on your definition of the word battle I suppose. Very easy to book a unit. When we first went to view we were shown around with someone on the phone. The place is very secure. Would thougherly recommend. UK storage great place,clean and secure excellent customer service would highly recommend to others. The stress of moving house was reduced by moving a lot of my belongings into storage for a short while, so that I could move out of my old home and into my new home over a few weeks at an easier pace. The staff on the end of the phone were very polite and helpful. They told me that I could upgrade the size of the storage if I found I needed more when I started to load my things in. The site was easily accessible by pin code at whatever time of day I needed to call. The storage units are clean and easily accessible, with trollies just inside the entrance for ease of moving items into the storage units. Often I was the only person accessing the units but when others were there, we didn't get in each other's way. I would certainly consider renting a storage unit from them again, should I need this type of temporary storage space. We have been very pleased with the way the UK Storage Company, has helped us in many ways. To have a clean and safe environment, to be able to access your unit is very important. To have equipment ready and available for your use, we found was very helpful. The whole experience was great, I would definitely use this company again. I have used UK storage company on two separate occasions in the last 2 years and both times they have been amazing. The staff have been friendly, approachable and professional. They catered to our needs on both occasions. Nothing was too much trouble, if they said they would e mail us, they did. If we had to phone them there was always someone there to answer the phone and if they didn’t know the answer they found out and got back to us very promptly! Would highly recommend them for personal or professional use. If I need storage again I will contact them immediately. Thanks to everyone at UK storage for making what can be a stressful time totally stress free. What amazing staff, everyone was so helpful and so friendly, it really was so impressive that i had to review the Company. Do not hesitate to use them , it really restored my faith in customer service. From the beginning of organising my storage at Redruth the team were so helpful and clear about what was involved. It all went like clockwork. Real value for money. When I no longer needed storage it went like clockwork again. It was a joy. From start to finish they provided friendly, efficient and cost effective service. Thank you. Helpful, friendly staff - phones answered promptly, queries knowledgeably. I am very impressed with the help, support and service i received whilst using a storage locker. Highly recommend UK Storage. Very impressed. Storage seems such a simple matter until you come to do i. You expect that one remover leave stuff therè and then few months later a other pick it up, no sweat. In reality you need access for items you suddenly realise you need. You need to unpack and repack. UK storage made this simple with easy access by pin to the site. Emma, Nick and the team even made the one problem i had, a door dropping and sticking closed, a simple matter to resolve. Good price as well. Excellent team at the Bridgwater depot - friendly and efficient. Would definitely use the storage facility again if needed. Easy access and great site highly recommended. Good storage company, helpful staff and good location. Reasonably priced and clean storage facility. Very clean, tidy, easy to use facility with excellent security. Very friendly and helpful staff as well. Will definately use again if needed and will highly recommend. First class facilities and great customer service. Strongly recommended. Great storage company. Reasonable prices. I thought the place was manned, but it's not. This surprised me somewhat. But the process is simple all done by email. They send a code which gives access 24/7. Some other places charge you for access. I can highly recommend UK Storage in Gosport, Hampshire. Will use again if I need storge again. Friendly reliable service, always someone to assist and resolve things quickly, would use again. The unit was secure, clean, and with easy access at all times the people I spoke to were very helpful, I used the unit to store all my belongings as i was between house moves would highly recommend them and i would use them again. Simple, Cost Effective and Stress free experience working with UK Storage Company Yeovil. I have recently had a locker space for 5 months as I was between homes and this new facility was very easy to access, clean and the staff at the end of the phone were always extremely helpful. Great storage company to go with in the Yeovil area, would highly recommend. Good value, clean, safe and secure storage and great customer service. The facility is clean and secure. Very easy to speak to the team via the telephone and during every contact they have always been friendly and most helpful. I needed storage for an undetermined period of time in the Bridgwater area and found UK Storage. The facilities are dry and clean and the security (signin/out) process is very good. The staff are always friendly and helpful and my goods were 100% secure and safe. Highly recommend to anyone looking for short or long term storage. Highly recommend. Matt, Ryan and the team were extremely helpful and professional with fast and helpful responses throughout. Would definitely use again and suggest anyone else to do the same.Highly recommend. Matt, Ryan and the team were extremely helpful and professional with fast and helpful responses throughout. Would definitely use again and suggest anyone else to do the same. We found the UK storage very easy to use both online and the phone. It’s a clean well run site and secure. We would use it again should the need arise. Really easy to deal with, great staff, couldn't ask for more. 24hr access and good prices. They offered the best deal in the area, after I called 5 other storage companies. Had a storage unit here for 18 months and have been extremely happy with the service and facilities provided. All our stored property has been kept in excellent condition and damp free. I would have awarded 5 stars if the access hours were more extensive however this is an issue emulating from an over zealous planning constraint and not UK Storage. Highly recommended. For the first contact I spoke to Ryan, over the phone, who gave me a detailed description of the prices, offers and facilities avalable at the Bridgwater branch. When I eventually needed to use the storage facility, Josh was on hand to help with all my questions. During the whole period, starting from the first phone call, lasting over 3 months, and renting three units overall, Josh and Julie could not have been more helpful. Will not hesitate to use them again. I would say the huge positive for us was to be able to place and store our items at UK Storage Chard and forget about them, being safe and secure, in the midst of a very difficult and complicated house move, the dates and timings of which were by no means certain. My whole experience with UK Storage can be summed up as one of feeling there were a solid, reliable and friendly organisation, and as said, in the middle of a lot of stress and uncertainty that was very much appreciated. Got a storage locker with these guys, accommodated.me at really short notice. Customer service was excellent and the Worcester facility was really clean and easy to access. Having never used a storage container before, I was a bit anxious about the entire process, but didn’t need to be. Staff were friendly, helpful and really efficient. Phone was always answered promptly and any questions that I had was always dealt with straight away. Would highly recommend to anyone, and if I ever moved again would definitely use you again. Excellent customer service. Very prompt in setting up contract and giving entry codes. Very clean storage. Pleanty of parking and able to reverse right up to entry doors to load/unload. Pleanty of trolleys available for transporting belongings. Workmen I met on site were really helpful and cheerful. Although I have never used a storage facility before so have nothing to compare it to I think it would be difficult to get better as they have thought of everything to make using the place easy. Would definitely recommend. The staff were extremely helpful and on the end of the phone when I lost my keys. They sorted out a locksmith very quickly and at very reasonable costs. I would thoroughly recommend them. Excellent customer service from the team. The storage unit is clean and easily accessible too. Everything was dealt with promptly at the start and finish of our contract. It was ideal to store our household items between the time we sold our old place and when we were able to move into our new house. Excellent friendly service. Very clean. Easily accessible made simpler by supply of useful equipment. Includes free van hire for initial move. Have used for long term storage on 2 occasions now and will use again. The storage unit is not very far from our home, its convenient, clean, easy accessible and great value for money, also when you call UK storage the team ard very helpful,plus when you get the lock when you take on the unit you keep it for future use like I have done. Well done to all and should I need you again in the future I will not hesitate to call on you again. I have used UK Storage in Plymouth several times and always found them to be very helpful. Booking a unit(of which there are many sizes to choose from)is very easy just requiring a telephone call if one doesnt want to use internet. Entry codes and directions to one's chosen unit are given this.way. Staff.are.always relaxed and knowledgeable. Vehicle entry is easy and most can get very close to the chosen unit. I've used UK Storage for a number of years now. It started as somewhere to dump furniture during decorating and over time I've rented many different size of units. It was this positive experience that encouraged me to rent an office there for my company for a couple of years until I closed it. I would not hesitate to go back there again when the need arises. I have absolutely no complaints regarding service and have always found everyone very friendly and helpful. I cannot recommend them highly enough. I can highly recommend UK Storage Company – We purchased a Kitchen that was on sale for a limited period. UK Storage stored it for 3 months while our house renovation was finished. The staff are very happy to help / prices are very reasonable and a great service received. I've used UK Storage on two occasions. The first was for personal storage and the second time was as a business when we used an office for a number of months. On both occasions the experience was fantastic. The team at the Bridgwater Branch were always friendly and could do enough to ensure any questions or queries were swiftly answered. If I'm ever in a position where I am in need of storage again I won't hesitate to use UK Storage. Fantastic service, please pass on my thanks to Emma. Explained everything in detail,so I could understand fully what type of storage was best for me. Made me feel that my needs.were important. Helpful staff and very affordable, just be aware of opening and closing times! Excellent storage facility. We only needed a small store but the staff couldn't have been more helpful. The place is clean and tidy and ready to be filled with all my stuff. We used this storage company as it was recommended by our removals company and it lived up to our expectations. Everything was stored well and came back in excellent condition. Company was helpful and easy to deal with. Always contactable, always friendly, I was suprised by how easy it was. Thank you. Great service and excellent facilities. Teams are fantastic to deal with and always give consistent advice. Sales team were great too, giving the best possible advice tailored to your needs instead of pushing you for a more expensive unit. Would highly recommend over the other storage facilities out there. Great job guys. Excellent Storage Place - Very clean!!! This storage suited my needs perfectly. It was reasonably priced. No long tied in agreements. Ideally situated with excellent access. Trolleys and lifts all provided in a secure compound. Good service and facilities, competetive price. Personal access code allows 24hr access, no need to do first visit during office hours. Particularly helpful when I discovered out of hours that I needed more storage: they assigned an additional unit of the size requested over the phone. Payment details clearly set out and account closed when required. Bank credited with small amount owing for early vacating. Storage facility could be accessed every day with personal code (but staff on hand by mobile if required). Safe, clean facility with friendly, helpful staff. First time experience of storage rental. Staff were helpful throughout and unit was easy to access. Building was clean and felt safe. Would recommend. Price was fine, storage worked for me, all good. The team were always helpful on the phone. The site isn’t manned but that didn’t cause a problem, it is easy to access, always clean and easy to drive around. I would definitely use them again. Clean, tidy and dry container. Very helpful staff. Highly recommended! Staff were friendly and helpful. Storage was secure and weather tight and location was great for me. All in all I had a positive experience using UK storage in Plymouth. I honestly have had no problems from start to finish, I have had my belongings stored for almost a year. I was amazed at the cleanliness of the whole place. Everything was clearly marked and made it simple to find any of the rooms. There was no sign of damp , everything was like new. The security system with the electronic gates was much appreciated. I found all staff extremely kind and helpful. Payment was the most convenient way of doing it that I have ever known and receipts of payment Always supplied . I will always highly recommend uk storage from happy experience. Thank you Gratefully Barbara Wood. Estover UK Storage is a Superb clean and accessible 24 hour site. Easy access 7 days a week meant I could load or unload goods at my leisure. The staff at UK Storage were professional and very friendly and always responsive to any enquiries. In all I thoroughly recommend this company if you are looking for safe and secure storage at excellent rates and accessible 24 hours. So easy to set up and use, the staff are always helpful. Units and site are secure and 24 hour access is extremely useful. Would definitely recommend. I used Uk Storage for two months. The agreement was done over the phone. Everything was well explained, entry to storage area, where to pick up the lock. Unit location in fact all very straight forward instructions. I would highly recommend this company. The unit was very clean and dry and the whole experience was easy. Thank you UK Storage. I rented a small unit from UK Storage to store my daughters uni stuff. The unit was just what we needed, reasonably priced and clean. The staff were superb - friendly, helpful and professional. I will definitely be using UK storage again. I have used UK Storage company 2/3 times now. Really friendly team, with seamless transactions and communication every time. I plan to use the company again in the future. Great team, never any hassle, highly recommended! Friendly staff who are helpful. Units are dry, secure, insulated and most of all generous on space! I have rented two units from UK Storage for nearly a year. They are great value for money, easily accessible with the option of 24/7 access. The units are clean and secure and a good size. The staff are polite, pleasant and friendly yet professional and accommodating. The charges are up front and straight with no hidden charges and exiting and moving out is straightforward. I have rented from other companies but UK Storage are by far and away the best. The units are all safe, secure and dry. I would certainly recommend this company to anyone. Would love to see a similar storage system for cars, ie garages, would be brilliant. Professional company that are easy to deal with. 24/7 access allowed me to move home with a lot less stress. Really professional, helpful & friendly team. Great service and the staff go out of their way to make things easy and flexible. I would definitely 100% recommend and would use again if needed. Thanks... You do a great job! I would fully recommend anyone needing storage to contact these people first. I had excellent guidance and advice, would use them in future should I need to. I needed storage at short notice and the Redruth site was close to home. The staff were very friendly and helpful on the phone, they take the security of the site seriously, the site was very clean as was the container. Really professionally run and customer focussed service, well done.